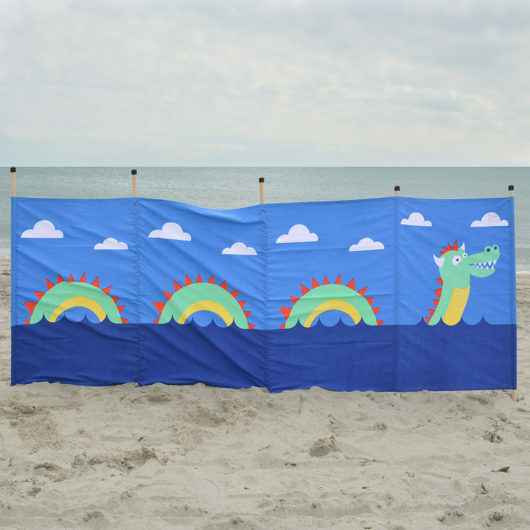 A fiendish sea creature to entertain all your little monsters wherever you may be. 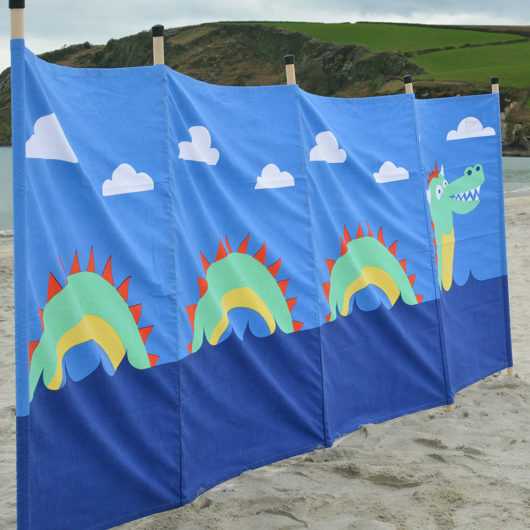 The Little Sea Monster Canvas Windbreak is another fun and popular style for all the family to enjoy! 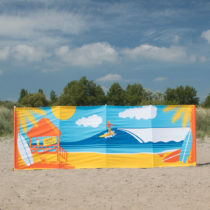 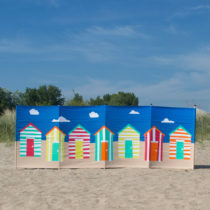 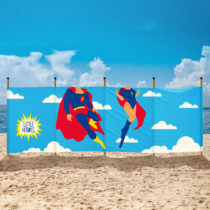 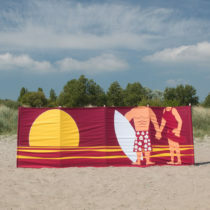 Also see our complete selection of Fun Windbreak and Deckchair Designs. 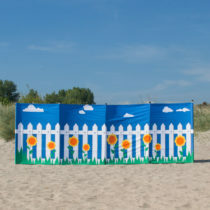 As a great extra, this windbreak comes with its own individual 1.5m soft cotton over-the-shoulder carry case for maximum comfort when transporting your product! 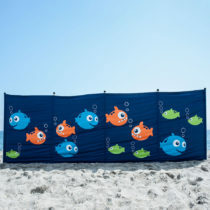 These products don’t just look great but are practical too; the fabric is made of high quality machine washable 10oz canvas cotton with UV protected inks and are made in India, in line with our Ethical Trading Policy.